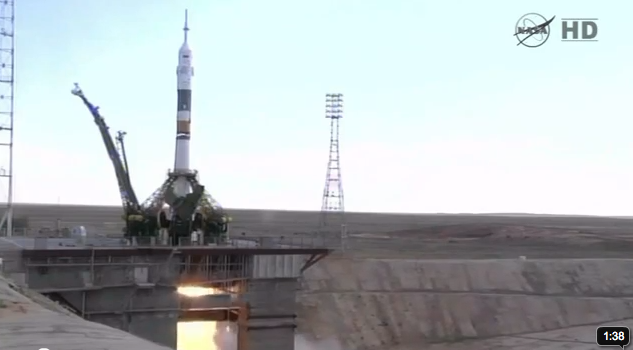 Soyuz TMA-05M launched as planned from the Baikonur Cosmodrome Saturday 14 July at 7:40 PM Phoenix time (0240 UTC 15 July). 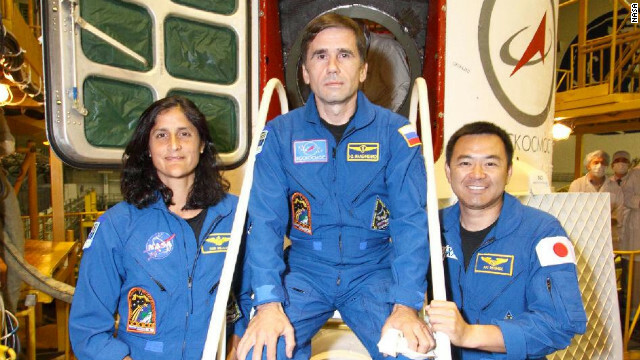 NASA astronaut Sunita Williams, Japan’s Aki Hoshide and Russian cosmonaut Yuri Malenchenko will join other crew members on the International Space Station (ISS). 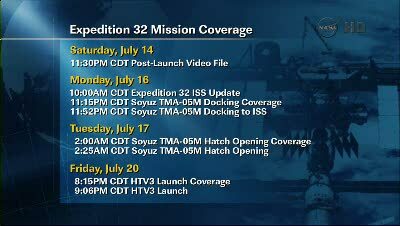 The Soyuz TMA-05M is expected to dock with the orbiting complex on Tuesday. Japan is expected to launch their third resupply mission at 7:18 PM Phoenix Time Friday, 20 July (0218 UTC Saturday 21 July). An International Launch Systems (ILS) Proton-M rocket lifted off its pad in Baikonur Kazakhstan yesterday at 11:38 AM Phoenix time (1838 UTC). There have been almost 400 launches of the Proton system since 1965. Nine hours after launch, the Briz-M upper stage delivered the satellite to Geostationary Orbit. Originally scheduled for launch last December, it was postponed due to an upper stage problem. Then, in June, an out of tolerance telemetry reading for a first stage sub-assembly eventually forced the vehicle off the pad and back to the processing hall for extensive testing. Satellite Services (SESthe ) owns SES-5, which is equipped with 24 C-band transponders and 36 Ku-band transponders. This 6,000 Kg communications satellite will be stationed at five degrees East, and provide Ku-band capacity for Africa and Nordic and Baltic countries. The C-band coverage is for Africa and the Middle East. It has an expected lifetime of 15 years. SES-5, built by Space Systems/Loral, will also carry the first hosted L-band payload for the European Geostationary Navigation Overlay Service (EGNOS). The EGNOS payload, which was developed by the European Space Agency (ESA) and the European Commission (EC), will help verify, improve, and report on the reliability and accuracy of navigation positioning signals in Europe. The galaxy cluster IDCS J1426.5+3508 at z = 1.75 is the most massive galaxy cluster yet discovered at z > 1.4 and the first cluster at this epoch for which the Sunyaev-Zel’Dovich effect has been observed. 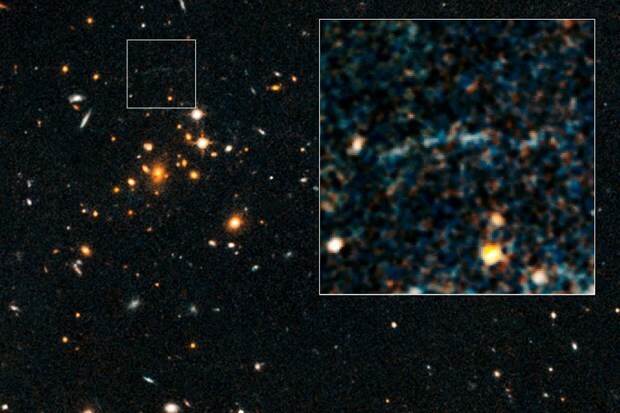 In this paper, we report on the discovery with Hubble Space Telescope imaging of a giant arc associated with this cluster. The curvature of the arc suggests that the lensing mass is nearly coincident with the brightest cluster galaxy, and the color is consistent with the arc being a star-forming galaxy. We compare the constraint on M 200 based upon strong lensing with Sunyaev-Zel’Dovich results, finding that the two are consistent if the redshift of the arc is z ~ 3. Finally, we explore the cosmological implications of this system, considering the likelihood of the existence of a strongly lensing galaxy cluster at this epoch in a ΛCDM universe. While the existence of the cluster itself can potentially be accommodated if one considers the entire volume covered at this redshift by all current high-redshift cluster surveys, the existence of this strongly lensed galaxy greatly exacerbates the long-standing giant arc problem. For standard ΛCDM structure formation and observed background field galaxy counts this lens system should not exist. Specifically, there should be no giant arcs in the entire sky as bright in F814W as the observed arc for clusters at z ≥ 1.75, and only ~0.3 as bright in F160W as the observed arc. If we relax the redshift constraint to consider all clusters at z ≥ 1.5, the expected number of giant arcs rises to ~15 in F160W, but the number of giant arcs of this brightness in F814W remains zero. These arc statistic results are independent of the mass of IDCS J1426.5+3508. We consider possible explanations for this discrepancy. 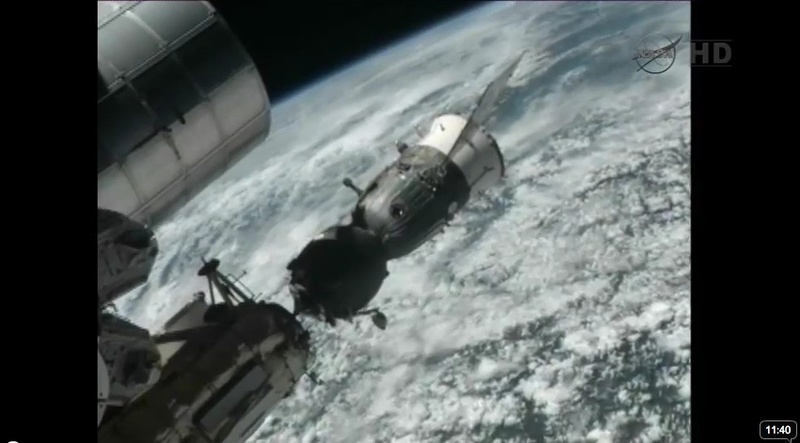 Soyuz TMA-03M Undocks and Returns to Earth. The Russian Soyuz TMA-03M spacecraft undocked from the Mini-Research Module at the International Space Station (ISS) at 9:48 PM Saturday night, while flying above China. 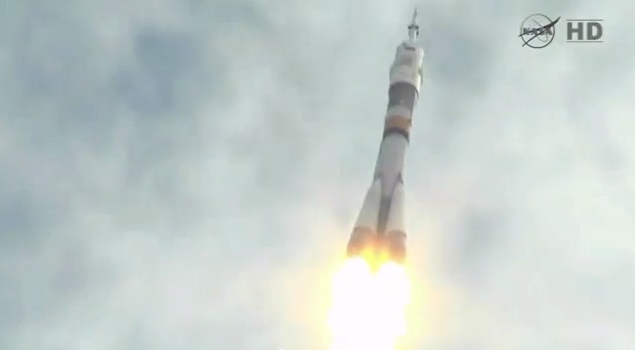 This brought Expedition 31 to a close and inaugurated Expedition 32 under the command of Gennady Padalka. 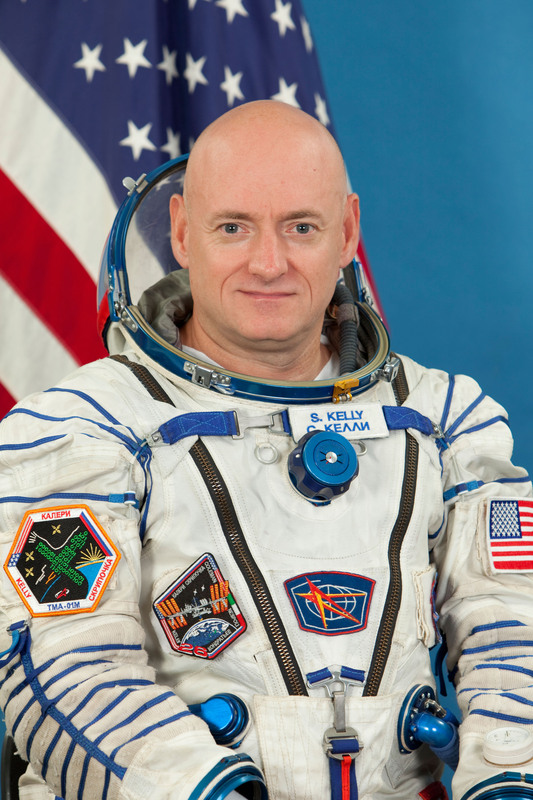 The other two crew members on ISS are Russian Sergey Revin, and American Joe Acaba. The deorbit burn occurred at 12:19 AM Phoenix time Sunday. 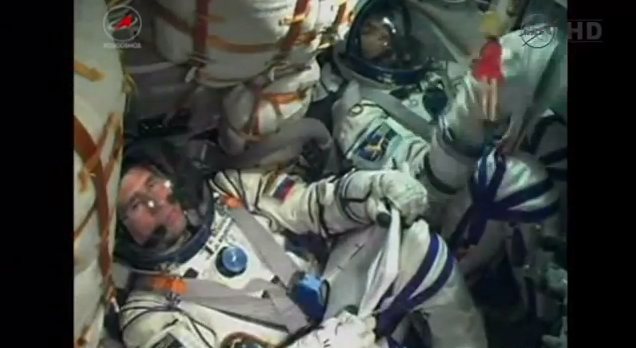 Russian cosmonaut and Soyuz commander Oleg Kononenko, NASA astronaut Don Pettit, and ESA astronaut Andre Kuipers, returned to Earth aboard the Soyuz Descent Module. 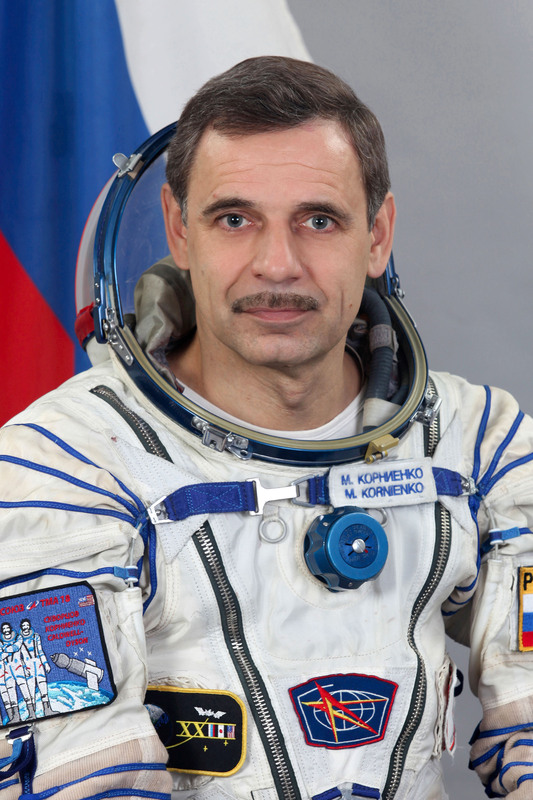 The landing in Zhezkaghan took place at 1:14 AM Phoenix time (0814 UTC). 15 July – launch (with 17 July docking) of the Soyuz TMA-05M/31S spacecraft, carrying three additional members of Expedition 32 – Russian Yuri Malenchenko, American Suni Williams, and Japanese astronaut Aki Hoshide. 24 July – the Progress M-15M/47P spacecraft will perform a re-docking to the ISS to test a new Kurs-NA antenna. 30 July – Progress M-15M will undock for the final time and reenter the atmosphere and burn up. 1 August – Launch of Progress M-16M/48P, which will dock to the ISS just a few hours after launch to test a new fast-rendezvous profile.